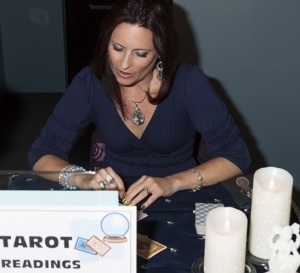 Are you an aspiring Tarot reader? Are you having trouble finding a teacher or mentor to talk Tarot with? I would love to work with you! During a Private Tarot tutoring session, we can discuss any Tarot questions you may have. Complete beginner? Awesome! You can learn the basics at the pace that works for you. Not a beginner? Perhaps you have done readings for yourself and others, but you are having trouble seeing the story that the cards have to tell. Perhaps you are puzzled by the Court Cards or using Reversals, or would like some guidance creating your own customized spreads. Your tutorial sessions will be tailored to you, to your needs and your specific questions. My goal is to increase your confidence and help you to grow your knowledge as a Tarot reader, in an atmosphere of support and fun. All levels of Tarot students are welcome. Want to learn with a friend, or two, or three? If you get a group (4pp max) together, I am happy to teach any Tarot topic that you wish. Tutorials are available by Skype internationally. If you are in the Toronto area, you have the option for Skype or an in person seesion. My beautiful Toronto location: Inner Arts Collective, 257 Danforth Ave.
Want some details? Let’s talk! Contact me today and together we’ll craft the PERFECT Tarot learning experience for you!